Trinidad and Tobago will host a major regional gathering to advance Internet development in the Caribbean. The event, to be held Oct. 2-3, is the 16th regional meeting of the Caribbean Network Operators Group, called CaribNOG. It is being held in partnership with the Latin American and Caribbean Internet Addresses Registry (LACNIC). CaribNOG is a volunteer-based community, largely drawn from the professionals who design, build, maintain, and secure the computer networks for organizations across the region. 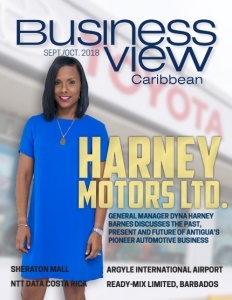 “Like other network operator groups around the world, CaribNOG delivers technical training and facilitates the sharing of professional experiences and network best practices,” said Bevil Wooding, Caribbean Outreach Liaison at the American Registry for Internet Numbers (ARIN), and one of the founders of CaribNOG. “The resilience of the Internet in the Caribbean depends on and affects many other aspects of regional development. At CaribNOG 16, we hope to leverage the presence of a diverse range of stakeholders to create a high-yield environment for technical discussions about the future of the Caribbean internet,” said Jamaican-born Stephen Lee, Program Director at CaribNOG and CEO of US-based technology services firm, ArkiTechs. The weeklong conference follows LACNIC’s recent announcement of its new partnership with Google to strengthen local Internet connectivity and build the digital entrepreneurship ecosystem across Central America and the Caribbean. “The experience is set to kick off during the second half of 2018 in three different countries: Dominican Republic, Guatemala, and Trinidad and Tobago,” a release from LACNIC said. In each country, LACNIC and Google plan to offer a two days of workshops on interconnection, entrepreneurship and digital marketing. In Trinidad and Tobago, the workshops are supported by the Ministry of Public Administration and Communications.